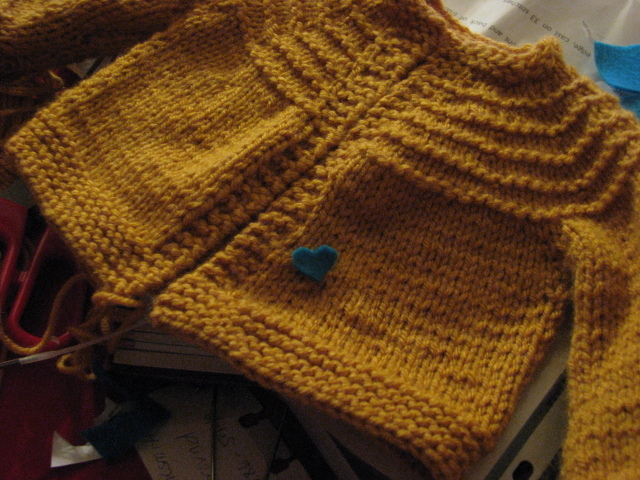 Things I’d do differently: Knit sleeves in a round since I hate the slip stitch seaming. It’s too bulky. When I do this again, I’ll have to do the stitches under the arm a lot tighter so I wouldn’t have any visible holes. Previous Article I SEE A SWEATER!!!!!! okay first, that bread looks delicioso 🙂 I don’t knit anymore but your sweater looks perfect.. It was! I really should make it again but this time a sweet one. Drool-worthy, both the adorable sweater and the yummy lookin’ bread! 😀 Thanks so much lady. 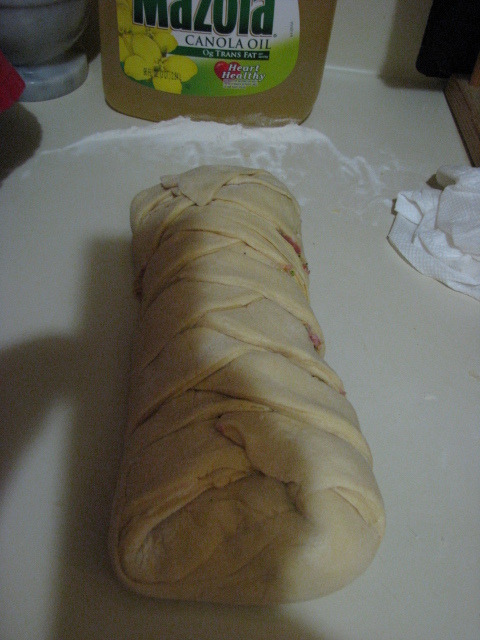 I’m making that bread again today but with sweetened coconut inside! I can’t wait! Amazing…you knit a sweater! And look how adorable it is. Good luck on your adult size sweater. Looking forward to seeing the progress. BTW- the bread is making me drool. Girl, I’ve been having it for breakfast, lunch and dinner!! I didn’t expect it to turn out so good. 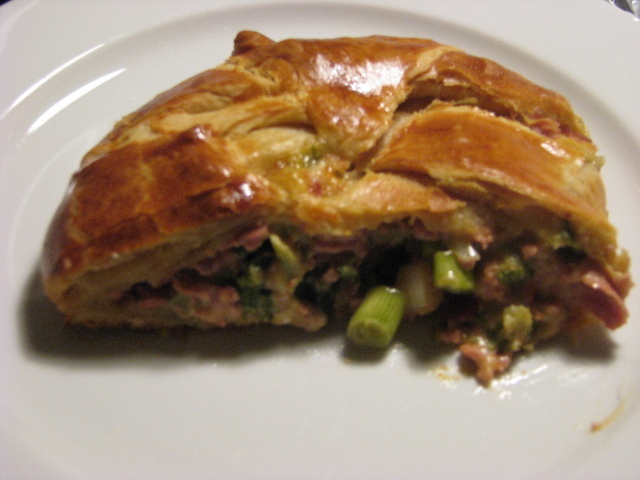 😀 Next up … making my own flaky dough instead of using Pillsbury. it looks adorbs, great pichas! Oh my gosh, your bread looks absolutely delicious! 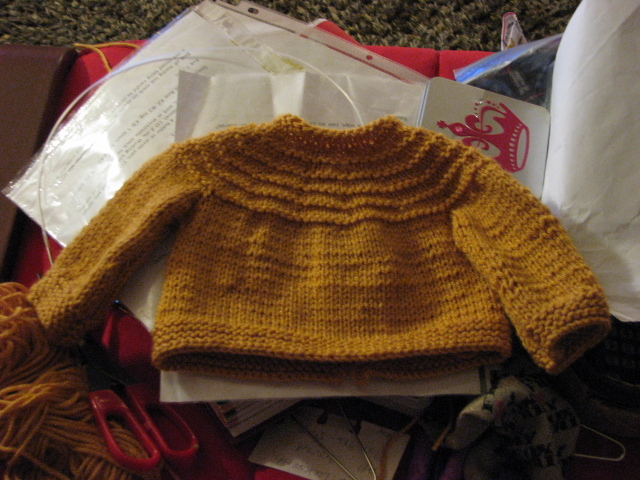 And the baby sweater is very cute and impressive. I think a fast intermediate or experienced knitter can make this in less than five hours but I took my time since this was my first crack at a sweater. Once I made the first sleeve, I was really cranking away at this. I’d say I took between 5 – 6 hours to make it. Seaming the sleeves took the longest since I hated the crochet slip stitch instructions and kept ripping out to make the join better. 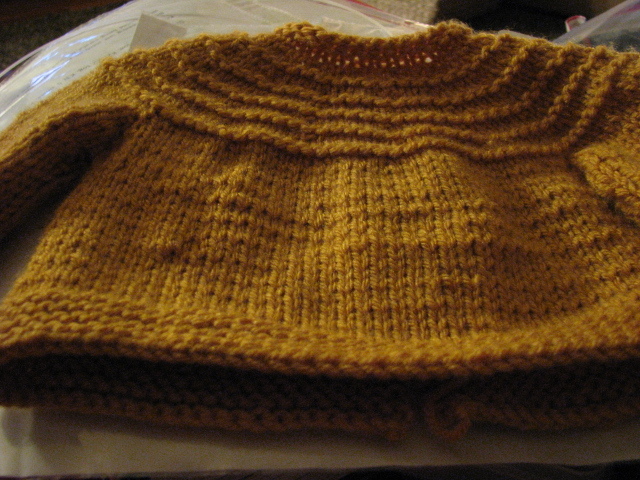 I’ll never use that again for seaming … not even in practice; it’s just so bulky and I’m big on finishes. Congratulations! The sweater is adorable. Lucky lucky baby boy x. 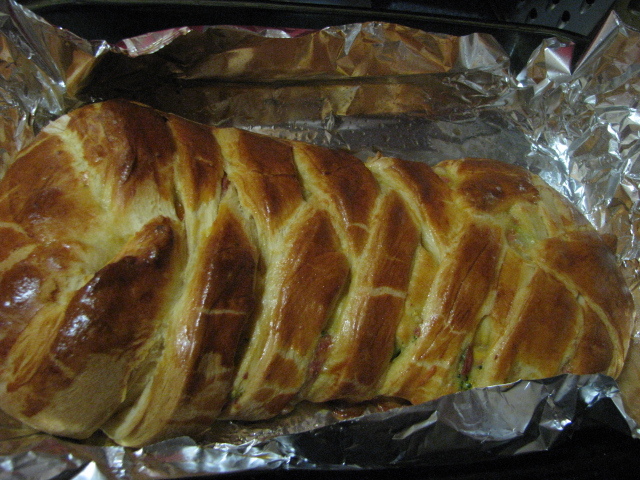 And that braid bread yum yum yum!